In my own journey to become a partner to horses, I have developed a passion to supporting others that are called to this career. When we first learn about this partnership with horses, we are drawn to the magic and power of it. Lead by a love of horses, something we may have held our whole lives or be new too we can’t help but leap into the excitement of our dream of working side by side with horses. And there is also a reality to building a business around a passion. It isn’t easy and it is not always something we are given as we go through training. I first discovered the partnership and career with horses in 2006, after leaving a dream of working in the breeding industry, yes strange i know but true, I was left devastated because I had no idea how I was going to make my life with horses work. One day I found myself in chapters where the book of Tao of Equus caught my attention that was my beginning of my journey into the field of equine experiential learning that has evolved to how I hold space with horses right now. I spent years immersed in honing my craft with horses, and in my training of coaching and leadership development and a passion for this purpose and calling with horses. In 2012 I decided to make a go of trying to go full time with my practice with horses pulled by purpose and I made the leap. I leased a 17.5 acre farm, grew my herd from 1 to 5 and stepped into seeing if I could make this passion for horses support my life. And I knew nothing about being a business woman, years of training in the industry gave me skills and ways to facilitate with horses, but not to grow my business. I know the power of this work, more deeply how necessary it is not just for people but for horses, and there in reality needs to be more of us that are succeeding with this partnership not just in our passion but in our practice and in our business. The Equine Guided 1:1 Mentorship program is for those that are committed to the practice of building their business around their passion of partnering with horses so they can succeed not just in purpose but in business. 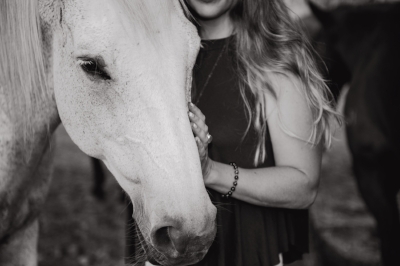 Since 2012, I have grown as a business woman, as a mentor, I have spent the last 3 years guiding others in their practice with horses after being begged by a client of mine. 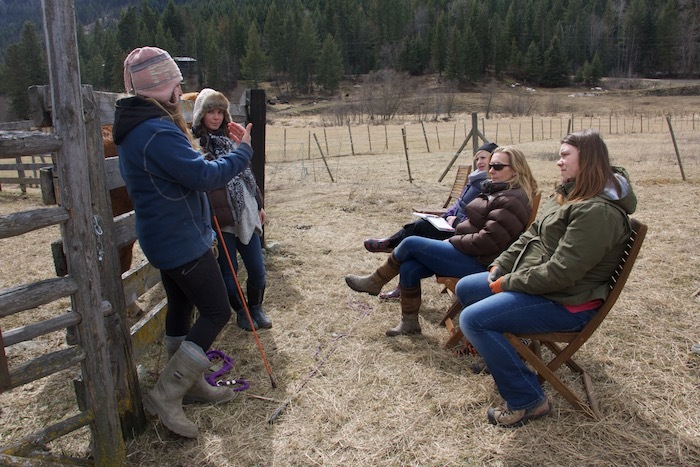 My practice has grown to be a practice that reaches people around the world, where people travel to my now 80 acre retreat ranch that was purchased in the fall of 2015, to experience the space I hold with my herd. My business is centered around the horses and has grown to a multiple 6 figure practice that continues to support this calling I have to partner with horses. The horses have integrated themselves into my coaching practice online and offline and bringing their teachings and medicine to everything I do. This isn’t just about building your business to where it is profitable or at least able to be a supportive supplemental income. And it isn’t just about your passion and calling with the horses. This is also about you, owning your own voice, and leadership through this work and feeling confident that you are bringing something unique and masterful to this field that is much needed in the world. What was missing for me in the early years was not just the missing link of how do I build a business, it was also that I was hiding behind my horses. I felt that I had nothing to contribute, it was about them and not me. I was unable to see my own voice or gift with this work and that crippled not just the space I was able to facilitate but for my business as well. So the journey becomes not just about us learning to be masterful in our business but also in our own ability to own our personal medicine with the horses. This is where the equine guided mentorship 1:1 comes in. It is a space that is a combination of business mentorship for your unique practice, helping you to get clear about what your unique message is, how to market yourself and who you serve, along with building your confidence and ownership of the wisdom you bring alongside the horses. I believe each of our journeys are unique, our process looks different, we may be at different stages in our practice, our business and in our own leadership and training. The 1:1 mentorship is created for the individual customized to what you are needing and what the most supportive container of mentorship will look like. There is options of course of joining myself and the herd for a personalized retreat to focus on your business or leadership or an option of a longer program designed to give you support as you grow and build your confidence and business. Over the past few months I have had the honour of learning from Hillary and getting to know how incredibly talented she is. Hillary’s work with the horses is one of a kind. I have experienced other equine developmental work and Hillary’s approach is truly unique. Hillary has been a pleasure to work with and so supportive. She appreciates my unique style and I believe we work very well together. I would say that we make a great team and bring out each other’s strengths. Hillary is an extremely strong coach and facilitator and I have learned so much from her over the past few months. I would highly recommend Hillary to anyone looking for a coach. This work is transformational! 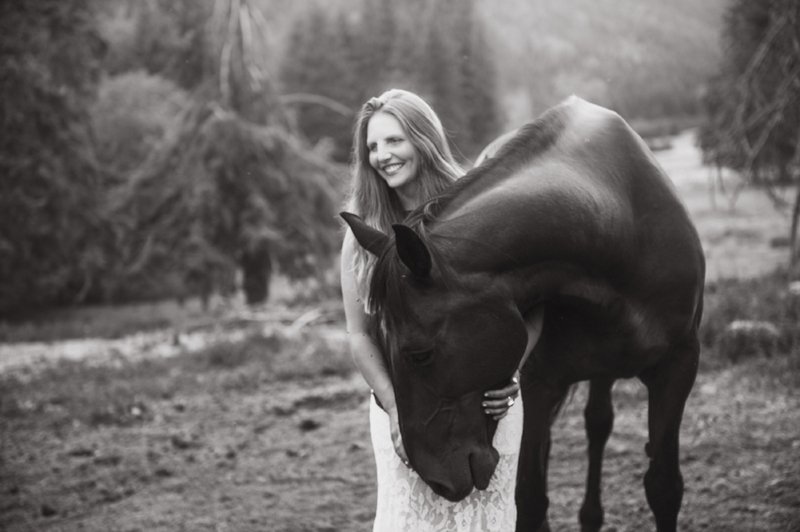 Over the last 5 years I have evolved my purpose and calling with horses to a profitable business that continues to empower and support this important work in the world. It would be my absolute honor to support you in your own version of success not just in your business but owning your unique medicine and voice in this work. Mentorship is done by application only. Fill out your application and then we will be in touch to discuss next steps!